New guidelines from the American Heart Association and the American College of Cardiology have changed both the indications for taking statins and, in some cases, have suggested a lower dose. 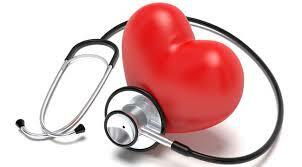 Also, the use of additional medications to assist in lowering cholesterol values has been called into question. Within days of the announcement experts criticized the cardiovascular calculator as outdated and, as a result, overstating the risk of cardiovascular disease by up to 100%. All cardiovascular calculators rely on historical data which don’t adequately reflect the very significant decrease in cardiovascular risk in more recent years and this one is no exception. The guidelines recommend abandoning the former goals of reducing LDL, or bad cholesterol, to below 100 or below 70 for people at high risk. The authors of the guidelines stated that those goals resulted in undertreatment of some patients and overtreatment of others. Instead they suggest individualizing treatment based on risk. For an individual younger than 75 years and over 21 years with known cardiovascular disease high-intensity dosing of statin medication is prescribed with a goal of reducing LDL cholesterol by 50% or more not tied to a specific number. For an individual over 75 years with known cardiovascular disease the goal is an LDL reduction of between 30-50% (moderate-intensity dosing.). Moderate-to high-intensity statin dosing is indicated for those people between the ages of 40 and 75 years, LDL cholesterol between 70 and 189 and a 7.5% or more risk of cardiovascular disease in the next ten years. Only individuals with LDL cholesterol values of 190 or more are designated to receive statin therapy in the absence of known cardiovascular disease, history of diabetes or a 7.5% or more risk of cardiovascular disease over the next ten years. In these situations high-dose statin therapy is suggested. An example: A 45 year old woman with an LDL cholesterol of 150 and a less than 7.5% risk of cardiovascular disease over the next ten years would not require statin treatment. Cardiovascular disease is defined as acute coronary syndromes, or a history of myocardial infarction, stable or unstable angina, coronary or other arterial revascularization, stroke, TIA, or peripheral arterial disease presumed to be of atherosclerotic origin. The authors of the guidelines do not recommend adding additional medications (such as Zetia) to achieve LDL cholesterol goals.